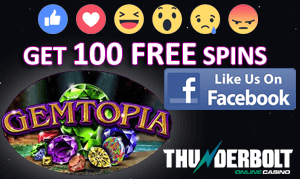 A brand new slot game is coming to NetEnt powered online casinos in the coming months, and players are thrilled with the news. 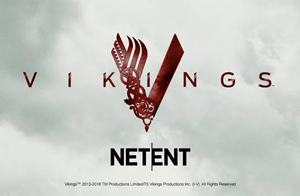 NetEnt announced recently that it had secured a deal with A + E Networks to create a slot game based on the critically acclaimed historical drama series, Vikings. According to the Swedish software developer, players should expect to find Vikings slot in the games lobby of their favorite NetEnt online casinos by the end of the year. Anybody who has ever watched Vikings, which follows a Scandinavian Norse band as they invade France and England, will recognize the potential there is to be had in bringing the excitement of this theme to the online gaming world. Vikings, which is produced by TM Productions and Take 5 Productions in association with Corus Entertainment, stars Travis Fimmel as Ragnar Lothbrok, a Viking warrior and farmer with a dream to conquer unchartered terrain. NetEnt is expected to bring Lothbrok, as well as his wife Lagertha, his brother Rollo and the torn monk, Athelstan to the reels of the new slot game. Fagerlund said that Vikings has become a TV favorite since the first episode of the first season aired in 2013, and it appeals to a vast audience across the world. “It’s a classic and historical theme packed with action and we’re sure the players will be looking forward to the launch later this year,” he said. The news that NetEnt is planning to release Vikings slot was welcomed by players who enjoy branded titles by this software provider. Over the years, NetEnt has developed some of the best branded content in the world of online gambling, with some of the most noteworthy being South Park slot and its sequel, based on the satiric adult animation TV show.